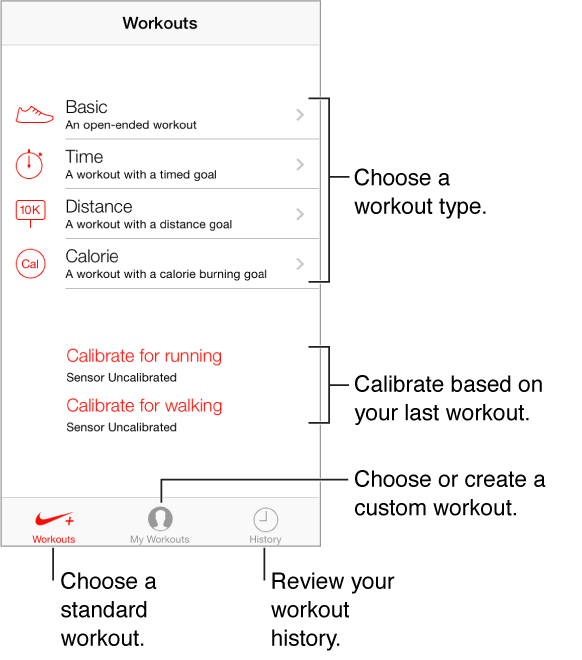 With a Nike + iPod Sensor (sold separately), the Nike + iPod app provides audible feedback on your speed, distance, time elapsed, and calories burned during a run or walk. The Nike + iPod app doesn’t appear on the Home screen until you turn it on. Turn on Nike + iPod. Go to Settings > Nike + iPod.